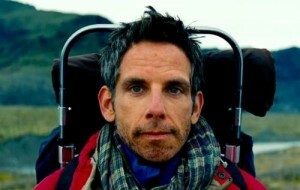 Ben Stiller (Tower Heist) returns to directing in The Secret Life of Walter Mitty, to mixed love from critics. Based on the classic short story by James Thurber, the movie follows Walter Mitty (Stiller), a timid magazine photo manager whose only adventure comes in his constant daydreamers. But when a negative goes missing, he embarks on a real-life adventure that proves much bigger than anything he could have imagined. The PG film also stars Kristen Wiig (Bridesmaids) as Walter’s love interest, Adam Scott (Friends With Kids) as the work bully, Kathryn Hahn (Wanderlust) as his sister and Shirley MacLaine (Bernie) as his mother. The purchase of either disc also comes with a 20-page 8×8 hardcover photo book valued by $29.99 from Shutterfly.com, redeemable through Aug. 31, 2014.